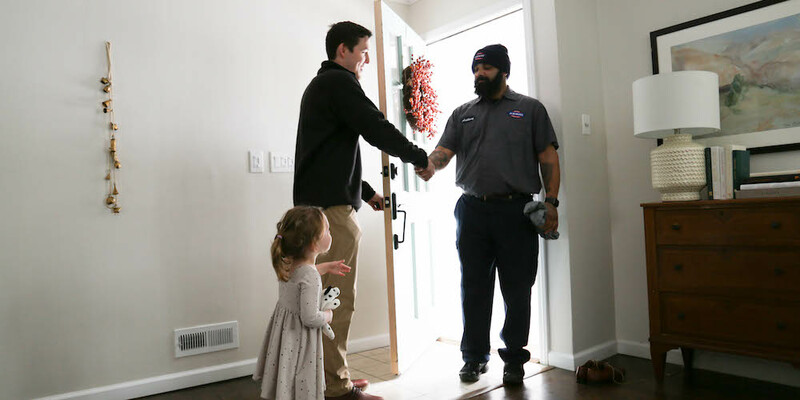 A broken furnace can quickly become an emergency for many families. At A.B. May, we train all year to handle any problems your system may face this winter. From Customer Service Specialists to our skilled technicians and service supervisors, our team does everything we can to make your repair as smooth as possible. When you call A.B. May, we take the time to understand the problem and your home’s unique situation. Our technicians are also happy to answer any questions you have. Once the problem has been diagnosed, we will let you know all of your options for repair. We also offer upfront pricing to help you make the decision that’s best for your home and your budget. And after the work is done, we always clean up after ourselves because we respect your home. For more information about a typical service call, visit our What to Expect page.